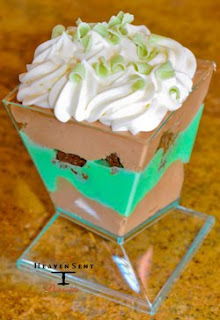 30th Street Blog: Heaven Sent Desserts' "30 on 30 Parfait"
Heaven Sent Desserts on 30th and University are offering their special “30 on 30 Parfait” – a luscious heavenly chocolate mousse layered with icy mint mousse, interspersed with our famous triple chocolate brownie bites, topped with whipped cream sprinkled liberally with delectable curlicues! All for the extra special price of $3.25 just for the 30th on 30th! Don't miss out - Make the 30th a celebration!